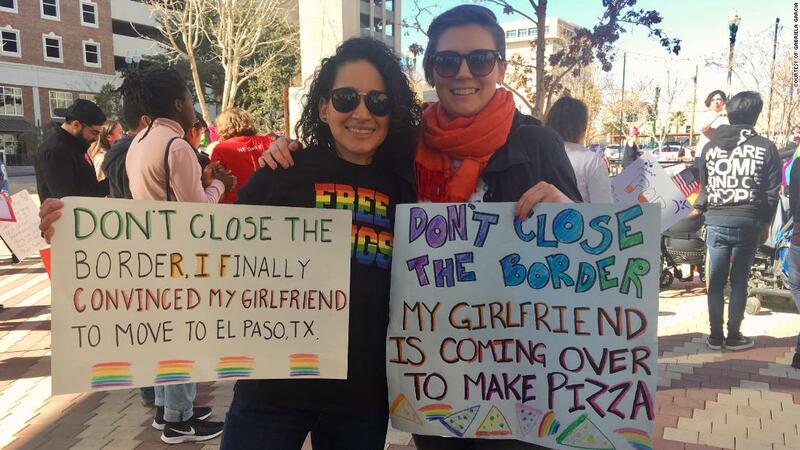 (CNN) A couple living on opposite sides of the border. A caretaker who crosses daily to help a woman in need. A man who buys medicine in Mexico. It’s been more than a week since President Trump threatened to shut down the border. For days, officials and pundits bandied about options as the millions of people who call this region home wondered what would be next. By Thursday, Trump seemed to be backtracking on the idea — at least for now. But for many border residents, anxiety is still lingering. Their lives were thrown into limbo this week, and there’s no telling when that could happen again. When Sara Chavez heard the border could be shut down, fear flashed through her mind. 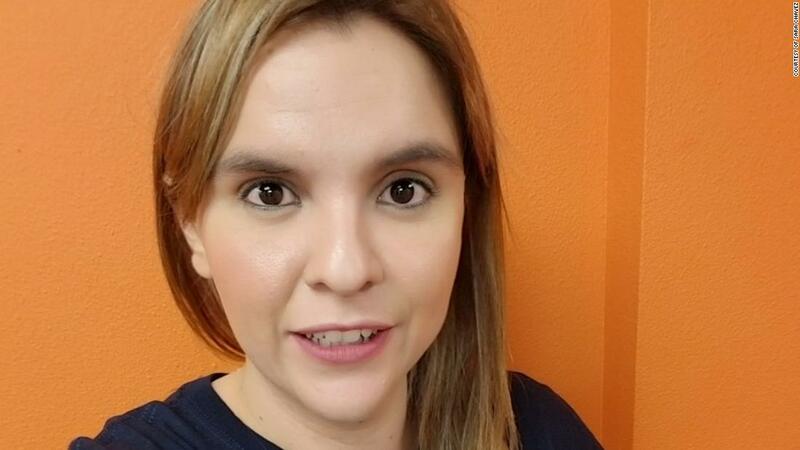 The 29-year-old American citizen lives with her parents in Ciudad Juarez, Mexico, and works across the border as a nursing graduate program manager at the University of Texas at El Paso. Her parents need her to help take care of them. Her job can’t be done remotely. This week, she started carrying a go bag with necessities in the trunk of her car in case she isn’t able to return home. She worried she wouldn’t see her family again when she headed to the office. She slept at friends’ houses in El Paso for days, uncertain of when an announcement could come. Chavez says she’s crossed the border almost every day for a decade. After this week’s turmoil she’s thinking for the first time about moving to El Paso to avoid the hassle and uncertainty. 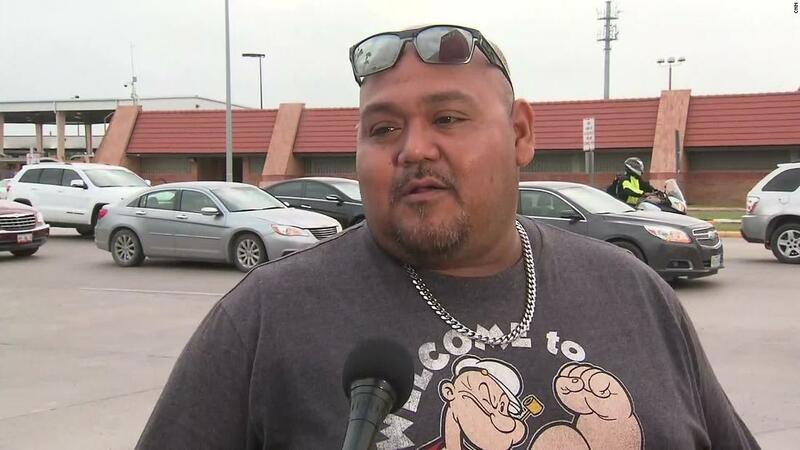 Crossing the border is a regular part of Carlos Flores’ life. He makes a weekly trip to visit his father in Mexico. Flores says he and many other Texas residents need to be able to head south of the border just to make ends meet. If not, he says US citizens could be dealing with serious health consequences. He regularly buys medicine in Mexico — where prices are lower — just in case anyone in his family on the US side of the border gets sick. With or without a shutdown, there’s already a major change that’s been affecting the border. Department of Homeland Security officials say they’ve shifted staffing away from ports of entry to help handle an influx of migrants who are illegally crossing the border. That’s led to lane closures and major traffic slowdowns at the ports. And Oscar Corral says it’s already taking a bite out of his importing business. Two shipments of produce he was expecting this week didn’t show up on time, Corral said. Trucks have been stuck waiting at the border for hours, sometimes into the next day. 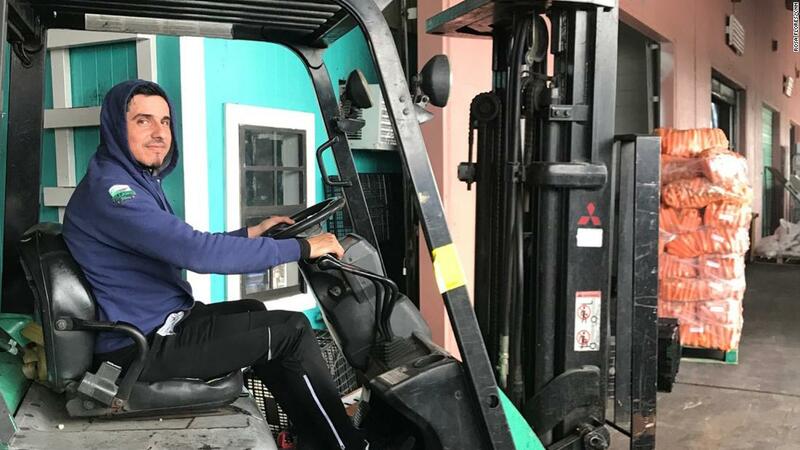 A border shutdown would likely force many US-based small businesses like his to close, he says, but already the slowdowns are making things tougher. 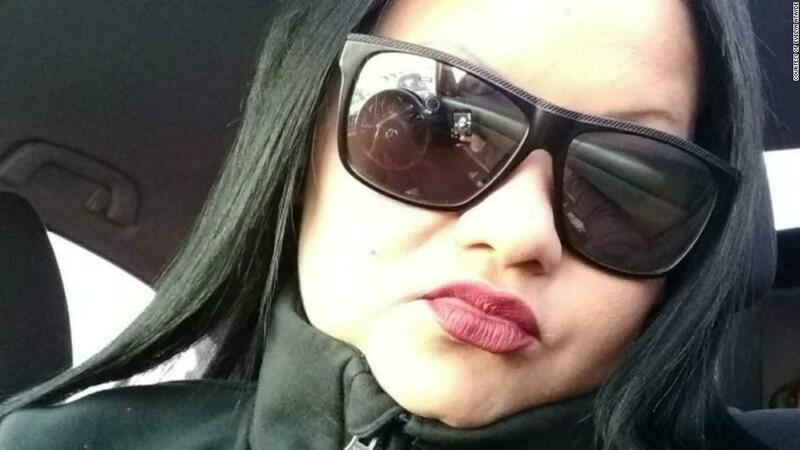 Gabriela Garcia, 32, is skeptical now that a border shutdown will ever happen. If it does, she believes it would only last for a few days due to the negative economic impact. But still, she and her girlfriend recently attended a protest to share their perspective. 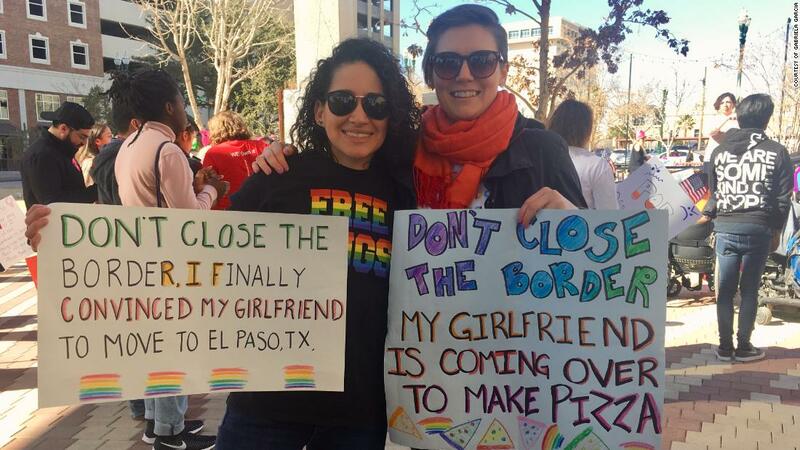 The more than 300 miles between Garcia and her girlfriend, Sara McGonigle, 28, didn’t stop them from falling in love last year. The couple, who met through a dating app, had been in a long-distance relationship until a few months ago, when McGonigle moved from Santa Fe, New Mexico, to El Paso. As McGonigle, a nanny, yoga instructor and aspiring doula, was preparing for a fresh start in the border town with Garcia, they began hearing of Trump’s intentions. Evelyn Atayde is a caretaker for a 98-year-old woman in El Paso, helping her bathe and dress — and keeping her company. Her father lives in Ciudad Juarez, and lately, he’s needed more help, too. So she’s been spending nights on both sides of the border, trying to be ready for whatever comes next. The looming threat over the border, she says, made things more stressful. Atayde says her father is suffering from advanced kidney failure, diabetes, hypertension and an enlarged heart.